Corporate communication is a crucial element in the success of business operations. 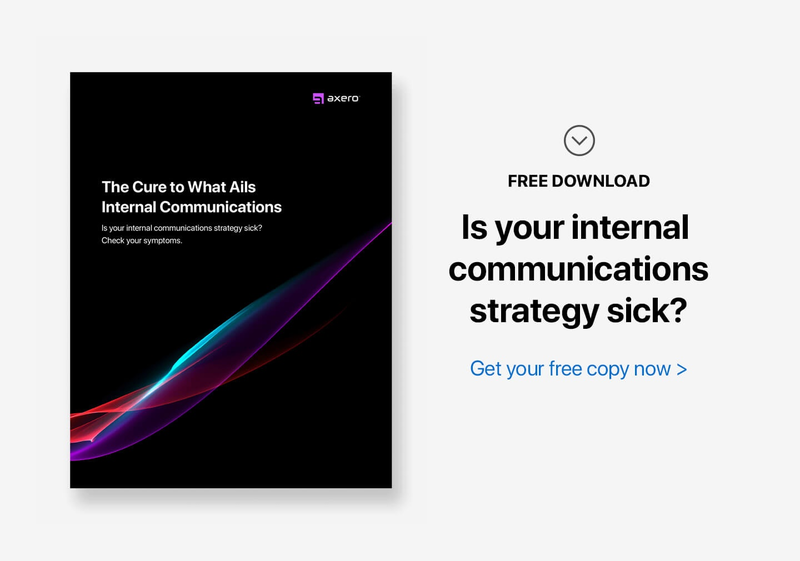 A big challenge, when it comes to internal communication within an organization, is communicating with top-level management. While business communication tools (via technology) save time, energy, and money, it may still be necessary to learn how to communicate effectively with your boss. Your boss typically holds the key to your advancement within your company. They also have a tremendous amount of influence on how you perceive your work. You may wake up every day looking forward to work ... or ... you may dread every time you go in. Your work will consume a large part of your life, and learning how to communicate with your boss makes sense if you want to enjoy your work. They have certain expectations, and it's up to you to figure out what they need ... especially if you want to advance your career, or at least, enjoy what you do. Here are 10 tips on how to communicate with your boss at work. To be on the same page with your boss, you need to spend time with him or her. There is no shortcut. Getting more time on your boss's calendar, especially if you are an executive or middle manager, gives you more time to get into the details and stay on the same page. In an ideal world, managers would need to interact with their juniors on a frequent basis. In reality though, juniors need to act to get the time they want with their bosses. The more time spent together, the easier it is for your boss to know if you are on the same page. This results in a less stressful working environment. How do you get more face time with your boss? Just ask. 2. Think ahead and offer solutions to problems. Communicating with your boss is similar to a game of chess ... it demands staying three steps ahead of your opponent to take the lead. If you can anticipate the needs of your boss before they arise, you will be seen as a leader and a problem solver. Paying attention to your boss’s work habits and style of working will help you determine where and how to assist. Check out their upcoming schedules and deadlines and offer to help. Remember, corporate communication is no longer just from the top-down. The more problems you can try and solve independently without going to your boss, the more likely you are going to impress. This also makes you seem more responsible and valuable ... qualities that your boss will love about you. 3. Offer suggestions that produce results. There are many things you can do to get ahead in your career, like getting educated. Not surprisingly, improving your skills also improves your job performance. When you have a 360-degree viewpoint of your work, it’s easy to identify pain points and offer suggestions that work. Communicate these suggestions to your boss. When you can offer practical suggestions that produce results, like implementing intranet software into your organization, your boss will see you as a valuable member of the team. 4. Make your boss look good. Find out what the boss wants from you by asking what you can do to improve ... or if there is anything you can do to make their day easier. Be careful not to lose perspective; you and your boss are not the same person. You need to focus on your own path and boost your own reputation as well. Since your boss is being judged, not only by their individual performance, but also by the performance of employees, the best way to make your boss look good is to make yourself look good first. 5. Communicate effectively at work. Very likely, your boss has a certain approach or style to effective corporate communications. Some bosses prefer to communicate over the phone rather than by email ... or vice versa. Knowing what your boss likes, or prefers, will help you better communicate with him or her. Rather than insist on using email, sometimes picking up the phone would work best for them. Show your willingness to work with them in this area. They will appreciate it. 6. Communicate on a personal level. You don’t have to be friends with your boss to have a more personal conversation. Asking how their weekend went or how they're handling a certain situation doesn't require a close bond; it requires a genuine interest. When you can talk on a personal level with your boss, they are likely going to respond and give you time. Everyone appreciates a person who shows concern ... and your boss will too when you take the initiative. 7. Ask for feedback or help. When you are doing a fine job, it is likely you won't hear from your boss often ... unless he is the demanding, micromanager type. However, don’t be over-comfortable when your boss is not on your back... he/she may also be a disengaged boss. Either way, ask for feedback. This will help you find out if you are doing a good job or where you can improve. And it doesn’t always have to be negative feedback. Ask what you did well and why it was appreciated. Ask what you can improve on. Be specific. This kind of feedback not only gives you a more focused approach at work, but also gives you an idea of what your boss expects. 8. Offer your help on projects. Between corporate meetings, responding to emails, and taking phone calls, your boss is likely to be one of the busiest people in the organization. As you can imagine, they will appreciate if you can offload some of their burden and help them meet their deadlines as well. Offering to help also shows you can take on responsibility and take initiative. We all want praise and recognition at work when it is due, but rarely do we want to be blamed for something we did wrong. Being accountable will enable you take on responsibility for decisions and actions in the organization, and it helps you grow as a leader. Likely, your boss is also looking for people to delegate work to ... and if you take on the role, which also comes with accountability, it says a lot about you and your leadership qualities. 10. Don't complain behind their back. One of the easiest ways to lose your boss’s trust is to complain behind their back. Gossip. We've all done it, but it's toxic. And no one likes a toxic influence in the workplace. You will quickly lose favor if you go down this road. Resist the urge to talk bad about your boss with others in the workplace. Boss bashing says a lot about your character. Discrediting the boss is ultimately discrediting yourself too, since you report to him. It also demeans you, hurts the company, and you come across as both a hypocrite and a coward. As an executive in a management position, never complain to subordinates. This brings you out as both frustrated and un-empowered which makes your boss less confident about you. Effective corporate communication is a skill that everyone should master, especially for top-level managers and executives. By learning how to communicate with your boss, and working to improve communication at work, your overall communication efforts will reflect well on everyone in the company. Isn't this a two way street? Bosses should learn how to communicate with their employees as well and not talk about them behind their backs as well. I've seen a lot of management talk smack about employees,not take accountability for their own actions. Of course this should be a two-way street. But this post isn't about the boss. That is the entire subject of my book, Who the Hell Wants to Work for You". It would be a great gift for your boss (or former boss). Thanks for commenting.